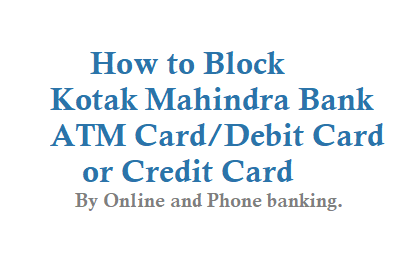 If your Kotak Mahindra Bank ATM Card or Credit Card has lost or stolen then you need to immediately block your ATM Debit/credit card from protecting fraudsters. 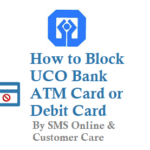 Then click on Send OTP, Upon receiving OTP, Enter.  Now it will Process and will notify about the information either success or further information. What in case if you have lost your mobile phone? 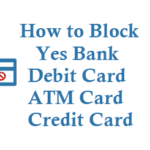 Then see below options to block or report loss of card. 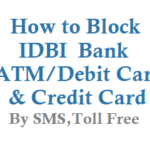 If your Kotak Credit Card or Debit Card is lost or stolen you need to block straight away. 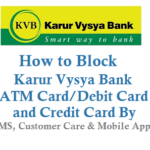 You can block your card and order a replacement. 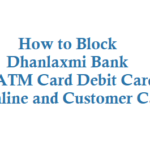 If the ATM/Debit card is lost and you asked for replacement then you will be charged Rs 200, charge is same for all debit card types. 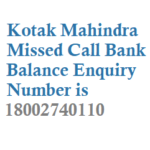 Note: Above procedures will also apply in Blocking Kotak Mahindra Bank Credit card also.